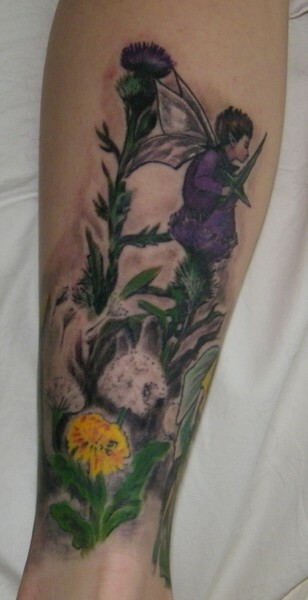 This is based on the artwork of Mary Cicely Barker, whose art I fell in love with as a kid. The tattoo was done by Scott Dennis at Lure Tattoo in Parkersburg, WV. It's still in the healing stage and it's far from being complete.